We are pleased to announce that, your search for an exquisite tunic design has come to an end here. This scarlet red a-lined tunic comes stitched in fine quality georgette fabric. The round neck is lined with copper embroidery around it. 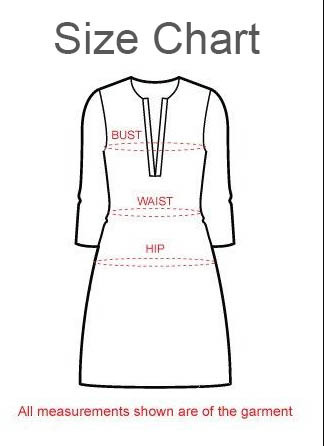 The centre area below the neck carries an exquisite pleated design and an A-lined silhouette. Such fancy pleated design in a tunic is a rare find. The long sleeves and base of the tunic come lined with copper coloured taping. Wear this beauty with pants to match and look how it turns your day around!